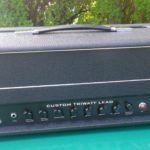 Every Trinity Amps cabinet is a custom, unique piece. Customers may ask for special Tolex colors, textures, metal corners, special piping, grill cloth, handles etc. We are able to accommodate most requests. We offer cabinets for our Kit Customers starting from just $250 for a finished head cabinet. 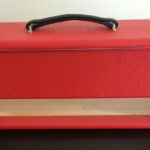 These are perfect for the builder who wants to build their own amp and finish it off with a professional looking cabinet. All of our Marshall-style cabinets start with Black Levant tolex, gold piping and gold beading along with gold hardware. This can be customized to suit any specific needs. 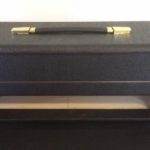 All of our Triwatt / Hiwatt style cabinets start with Hiwatt/Vox style tolex, white piping and beading along with nickle hardware and can be customized to suit any additional needs. 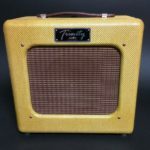 All of our Tweed-style cabinets are custom made to be paired with our amplifiers, each perfectly suited to match the look, feel and sound, not only of Trinity amplifiers but also of the classic amplifiers which have inspired our designs. All of our Trinity-style cabinets are custom made to be paired with our amplifiers, each perfectly suited to match the look, feel and sound, not only of Trinity amplifiers but also of the classic amplifiers which have inspired our designs.